As the market for top talent becomes more competitive, how you market your organization to candidates is critical. The right applicants do their research and you want to make sure that that research reflects your company’s image accurately. 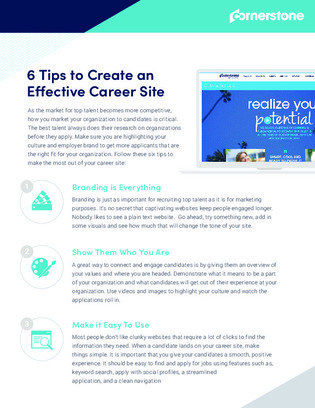 This resource highlights 6 important tips for making the most out of your career site so that you attract the talent you seek.